the B2B world - download the App and be a part of it! 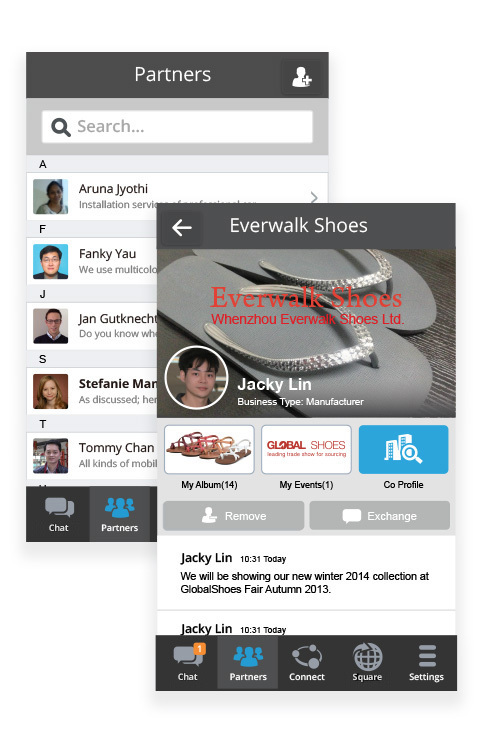 Thanks to the integration of your devices' address book tradesqr makes it downright simple to start instantly Chat with your business Partner(s) one-on-one or being 'active' Partner in a Group Exchange. 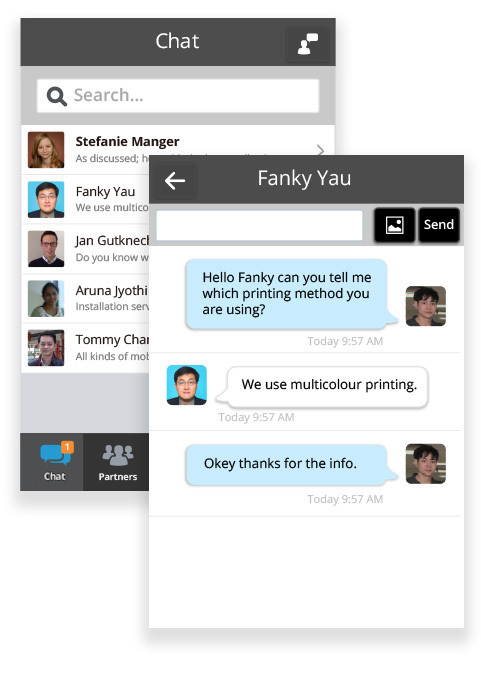 You can share pictures, videos, web links, and many more in addition to your text based Chat. In the upcoming version your Chat can be archived and or forwarded by email for future reference. 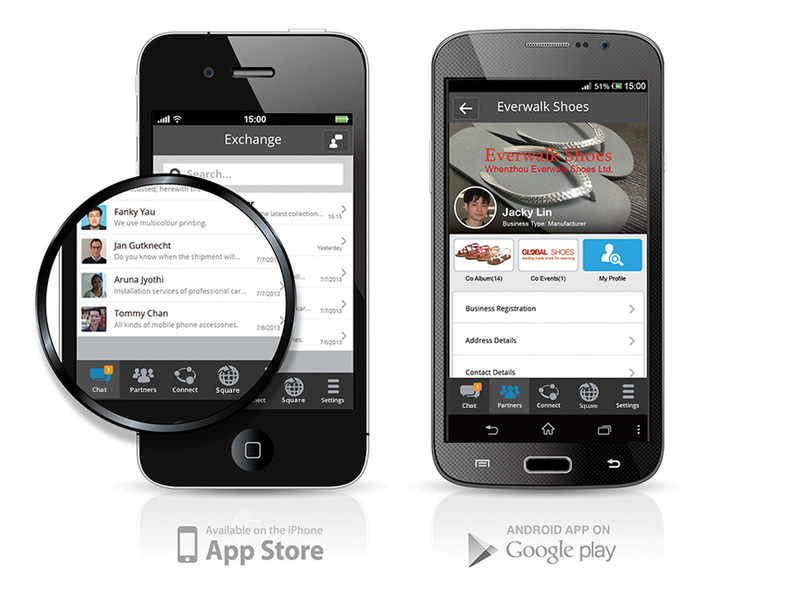 Share and communicate collaboratively just the way you like it. Instead of seeing only your Partner(s) name we created the tradesqr Partners page & profile with one simple touch. tradesqr Partners page enables you to follow your Partner but in addition it provides you also with a detailed profile of the Partners' company, including company name, registered address, contact details, location on map, certifications (Signature profile only), pictures of company, etc. Moreover in the Partners' page you can start an instant Exchange. tradesqr shows you everything you need to create trust between yourself and your Partner(s) for doing success business. Want to find new high potential business Partners? Or maybe check for alternative sources for future needs? 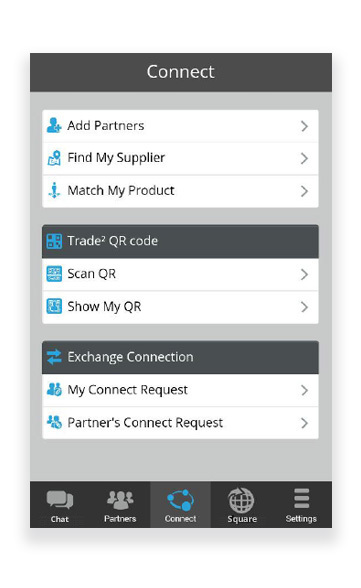 tradesqr makes it easy and convenient to search, review and add new business Partners via the Find My Supplier App-In-App feature. 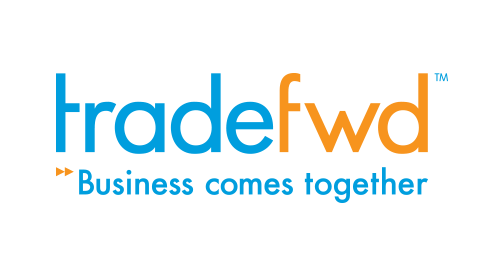 Through the smart integration of our massive databases and your personalised search query with additional filter options it is possible to start an Exchange with your new business Partner(s) in minutes. Oh, and if you meet your new business Partner at an event or fair – simply scan the QR Profile and you are tradesqr Partners. Connecting in tradesqr has never been easier. Nowadays, we are always looking for new ideas, innovations and outstanding product ideas. Knowing this, tradesqr has created for you the Square tap. Under the Square tap Corporate and Signature members can post about their companies, products, services, etc. to their Partners, in public or in special dedicated channels A world of attention is available for genuine companies along with their products and services. What's more, thanks to our special filter functions you will only see that what has real value for you. So clever in fact, that we can guarantee it will be one of your major sources for upcoming new supplies.